Summer's officially here, so it's time to fire up your manual 3D sandcastle printer and bust out your turtlebacks and head to the beach. But what are you going to wear? 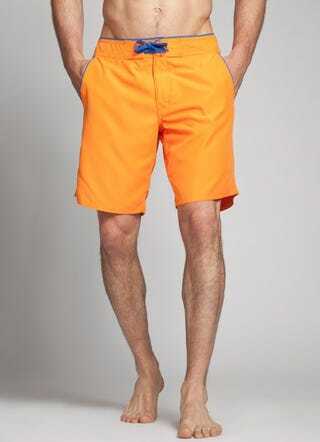 This summer, get some better-fitting man trunks from Bonobos, the online retailer known for better-fitting man pants. High Tide trunks measure 5" — great for exposing your pale nerdlegs to some precious Vitamin D. If you're more of a board shorts guy, the 9.5" Low Tides are perfect for surfing both the waves and the Internet. Right now get up to 50% off of Bonobos swimwear as well as on suits by brands like Onia, Orlebar, Reyn Spooner, and GANT. And here's a special summer present: new customers get an additional 10% off of swimwear— just use code Gizmodo10 at checkout from today until July 19. And if you live in NYC or Boston, stroll over to a Bonobos Guideshop, and a Bonobos Guide (your complimentary personal shopper well-versed in style and fit advice) will hook you up with your dream man trunks.